George Zimmerman, born 6 May 1856 at Troutville, Pennsylvania, died 14 March 1941 in Bussey, Marion County. He was the eldest son of Godfrey and Sarah Katherine Zimmerman. 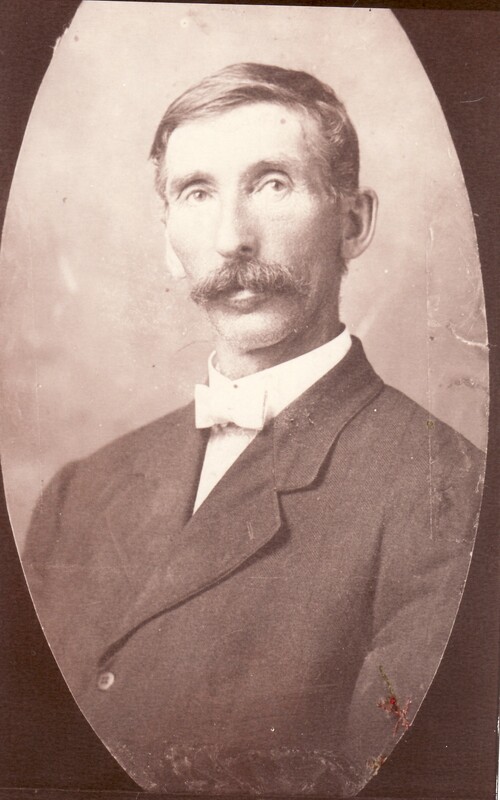 He moved to Kansas, where he met and married Sarah Locke Sims on 8 March 1887. They homesteaded there for a number of years before moving for a short time to Pennsylvania and then, finally, to Lovilia, Monroe County, Iowa. Sarah Emma Locke, born 3 March 1857 near Marysville, Marion County, died 6 July 1919 near Lovilia, Monroe County. She was the youngest of fourteen children born to James and Mariah Locke, who passed away when she was quite young. Sarah lived with her older brothers and sisters while she was growing up. George and Sarah had five children, but only two daughters survived them. One was Mrs. Millard Cairns (Etta), who was living in Illinois at the time of both her mother and father's deaths. Her husband, a minister, assisted at Sarah's funeral. The other daughter was Mrs. Frank Chance (Katie), who lived near her parents in Lovilia when she was first married. 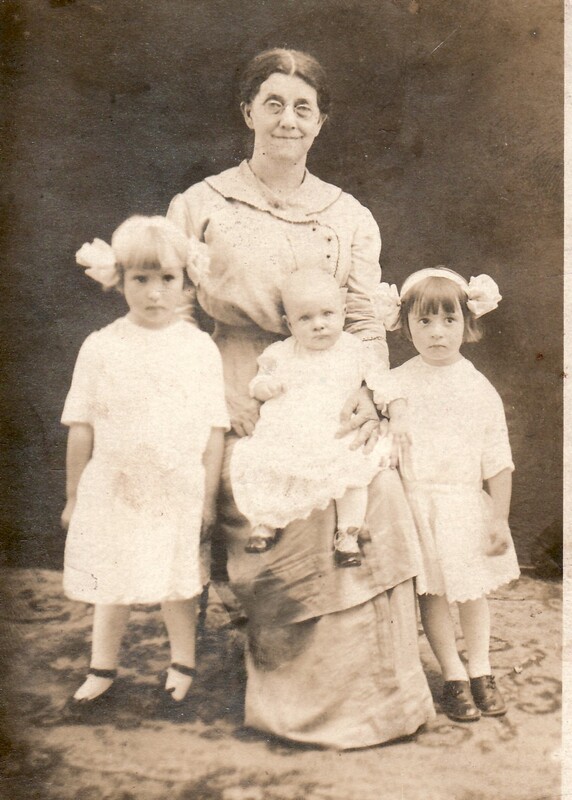 This photo, which dates from 1914, is of Sarah Zimmerman with her three Chance granddaughters: Ruby, Olive, and baby Leota. Katie Zimmerman Chance, born in Oak, Nebraska in 1890, was Pat Kizer's grandmother.